Sydney’s affluent east is popular with property seekers for its proximity to local schools, beautiful elevated homes and spectacular views. As the Chinese ring in the Year of the Monkey, Mandarin-speaking buyers looking at properties with a harbour view are growing. This two-bedroom Art Deco style Rose Bay apartment sold for $1.013m in December 2015. Rose Bay and Darlinghurst are among the top suburbs where Chinese buyer interest increased from November 2014 to 2015, according to search data from myfun.com, a sister site to realestate.com.au. Rose Bay has proven to be a key area of interest throughout the year for Chinese buyers. 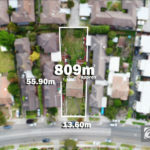 Mark Meyer, Director of LJ Levi Real Estate in Rose Bay says the past year has seen significant increase in the amount of enquiries for properties in Rose Bay as a result of advertising on myfun.com. This block of flats in Balfour Road Rose Bay sold for $10.055m last November. Chinese buyers looking in Australia aren’t exclusively fixated on upmarket Sydney. 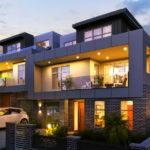 Chinese-based property searches have also grown in Sydney’s west (Merrylands), Melbourne’s south-east (Rowville), Melbourne’s outer-west (Werribee) and Brisbane’s outer suburbs (Sunnybank and Carindale). 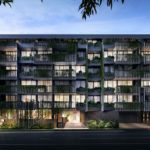 Dennis Shi, of Ray White Box Hill says there’s a lot of interest from both onshore and offshore Chinese in Box Hill North, which came in at number 17 on the national list. Shi says high demand on Box Hill is pushing Chinese property seekers out to peripheral suburbs, such as Box Hill North. “Most of the properties in Box Hill North are in the general residential zone, that means there’s more development potential (compared to Box Hill and Box Hill South),” he says. This three-bedroom Box Hill North house sold in January for $1.145m. 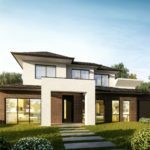 Demand on Box Hill has pushed buyers out to Box Hill North. The median price for a property around 600sqm rose to above $1 million last year but is now beginning to steady. 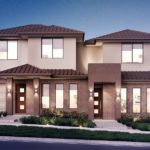 Rowville, a burgeoning green pocket in Melbourne’s south-east, was fifth on the national list and number one in Victoria. Barry Plant – Rowville Director Brenton Wilson says he has noticed an increase in enquiry from offshore Chinese in the past 12 months, particularly at the higher end of the market. Wilson says largest percentage of Chinese buyers were local, while offshore purchases were definitely dominating the top end of the market. This five-bedroom Rowville home sold for $2.07m in January. In many cases, local Chinese buyers are being funded by offshore money. He says the suburb is attracting those after more land space and a family-friendly atmosphere. 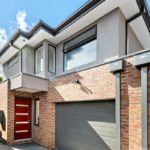 For Melbourne’s suburbs previously popular with Chinese buyers the attraction has been largely good schools, particularly for Mount Waverley and Glen Waverley which sit in the Balwyn High zone. In Rowville, the attraction is more in the lifestyle. This four bedroom property on a 2766 sqm block in Rowville sold for $1.31m last September. “They want the lifestyle properties more than they want the Balwyn High school zone,” Wilson says. Where was the biggest growth in interest from Chinese buyers? The data listed below shows the top 10 suburbs in Australia – nationally and state-by-state – that have had the largest growth in property views from Mandarin-speaking audiences on myfun.com between November 2014 – November 2015. There was insufficient data returned for Western Australia, South Australia, Tasmania, Northern Territory and the Australian Capital Territory.